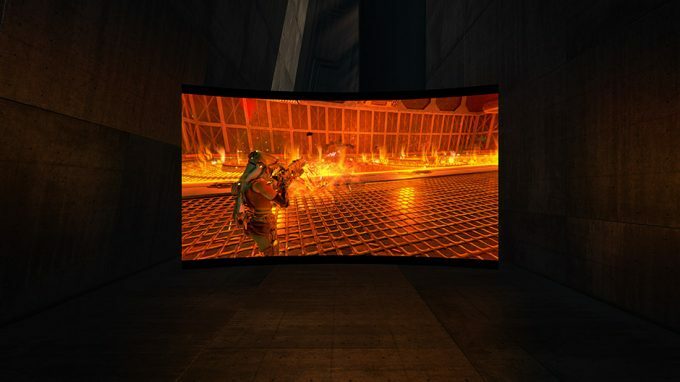 Announced nearly a year and a half ago, Oculus and Microsoft are finally making good on their promise to stream Xbox One games into a virtual theater on the Rift. Xbox One users have been able to stream their games to a locally networked Windows 10 PC since the middle of last year. In June, 2015, Oculus and Microsoft jointly announced that the feature would be coming to the Oculus Rift, allowing users to play their Xbox One games projected onto a big screen in an immersive virtual environment. Now, one and a half years later (and 9 months after the launch of the Rift), Xbox has announced that the Xbox One Streaming to Oculus Rift app will launch for free for Windows 10 on December 12th. The app will allow users to stream their Xbox One gameplay to a local Windows 10 machine with connected Rift and see the game in a whopping three virtual environments, ‘Citadel,’ ‘Retreat’ and ‘Dome,’ which really don’t stand out from one another beyond being a different backdrop. Like the original Xbox One to Windows 10 streaming, it’s a feature that no one really asked for. 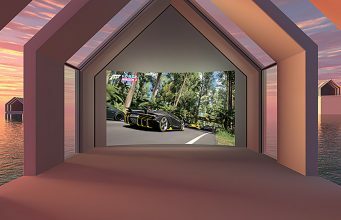 Compared to playing on a real 1080p HDTV, the visual fidelity will suffer in the Rift because the headset’s effective 1080×1200 resolution must be stretched across a wide field of view. 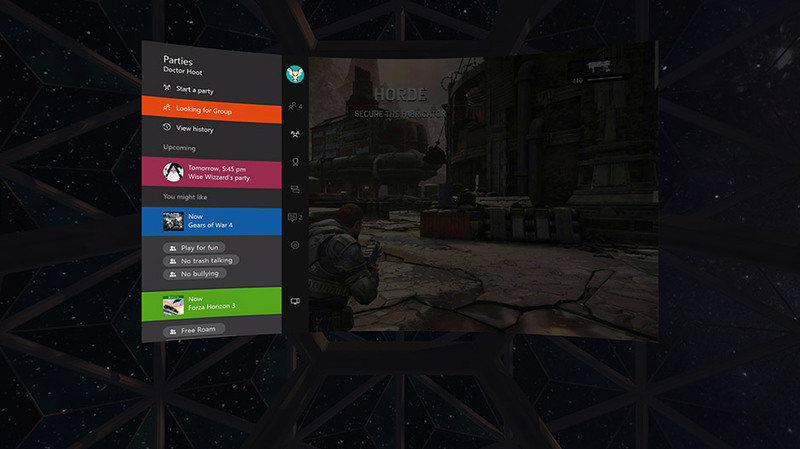 Now, it might be cool if you could join friends in the virtual space to share Xbox One gaming sessions together (like BigScreen does for PC), but no such feature exists. The only benefit of the app is the novelty of being in VR while playing standard Xbox One games. The timing, too, seems especially odd given that the app will launch a week after Oculus launches their Touch controllers, which don’t benefit Xbox One games in any way, and are used as a replacement of the Xbox One gamepad that ships with each Rift. Maybe there’s a few niche situations one could concoct where this feature might be welcome, but the only people who will be able to make use of it are those who not only own an Xbox One, but also own a high-end gaming computer, and also own an Oculus Rift (and also have any need for the function in the first place). We’re just not ‘getting’ it. When Xbox One can stream to non-local computers, so that I can play my library from any computer without taking my Xbox with me, sign me up. But even then, I’ll probably be away from my home on a laptop, so I’ll just use the standard game streaming function without the Rift. It’s strange to see Microsoft spending time on this niche feature when the general user-experience on Xbox One still needs significant attention. We can only hope to see this app evolve over time with more compelling features. Most likely it’s an expression of the ongoing partnership between Oculus and Microsoft, and hopefully heralds more useful joint offerings between to the two companies to come. Perhaps that will be in the form of Microsoft’s forthcoming Xbox ‘Project Neo’ console, launching in 2017, which the company says will support “high-fidelity VR.” Microsoft has yet to say which headsets will be supported on the system, though the Rift seems like a natural choice given the existing alignment of the companies. The post Xbox Game Streaming to Oculus Rift is Finally Launching Next Month appeared first on Road to VR.